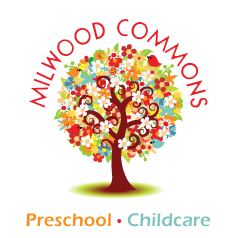 Milwood Commons Preschool and Childcare exists to provide a place where children, ages infant through five, can grow and develop physically, emotionally, socially, and spiritually. Milwood Commons Preschool and Childcare values the partnership we have with families, as children grow and develop the necessary skills needed to become active participants in their families and communities. Every child at Milwood Commons Preschool and Childcare is welcomed, loved just as they are, and valued for the unique gifts they bring.